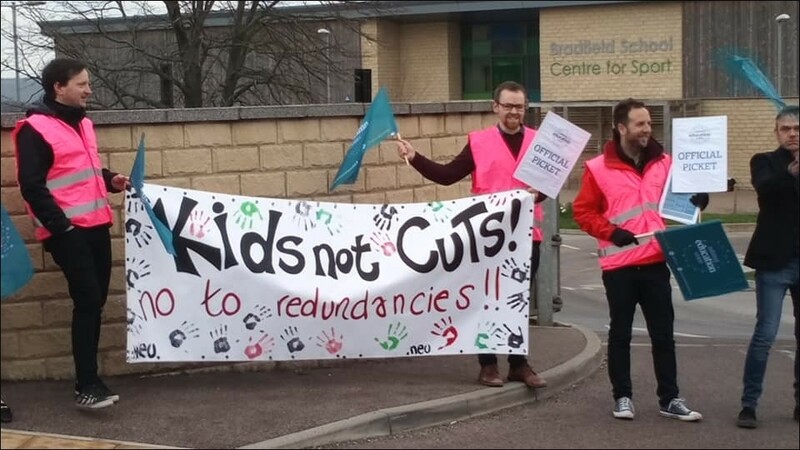 On Tuesday night, 200 parents packed a public meeting in support of National Education Union (NEU) teachers from Bradfield school in Sheffield, striking to defend their jobs and in defence of education. 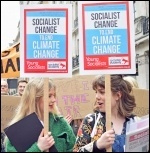 The meeting listened to teachers, students and parents opposing the cuts which will see the closure of the sixth form, an increase in class sizes, the loss of 15 teaching posts and a restructuring of the school curriculum that will limit students' choices. Kevin Courtney, joint general secretary of the NEU, spoke about the national crisis in funding and the role of Private Finance Initiative (PFI) companies in profiteering from education. Bradfield is a PFI-built school. The school governors and senior management have bombarded parents with emails telling them that the strikes are irresponsible, that the cuts are necessary and that there is no alternative; and that parents should not attend the picket lines. However, angry parent after parent stood up to condemn the governors and their decisions, telling about how the governors had refused to answer their emails. 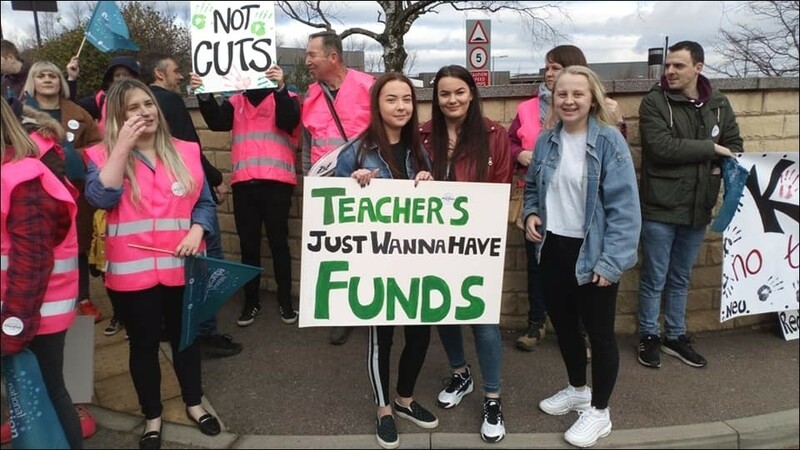 A call to support the strikes and picket lines was cheered and there are plans to launch a parents' campaign to bring the governors to account for their actions, and reclaim the school as a cornerstone of the community. On Wednesday morning, around 80 pickets and their supporters, including parents and students, gathered at the school gates from 6.30am. 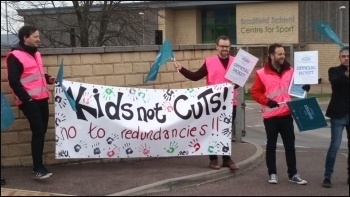 While the Executive Consultant scowled at us from her car, the pickets chanted 'Kids not Cuts'. Support staff from the school (who were not balloted for action) showed their solidarity by coming to talk to the pickets and even used a makeshift megaphone in the form of a traffic cone to shout 'strike, strike'. Because of its semi-rural location many students arrive by school bus, but bus after bus arrived with only a handful of students on board. Passing cars honked their horns in support, and many parents on their way to work stopped to offer their support. The mood of the strikers was buoyed by the support of the public meeting and the atmosphere on the picket line was good. Further negotiations are scheduled over the next week, and the school is about to finish for a two week Easter break. A further two days of strike action are scheduled for the week of the school's return. 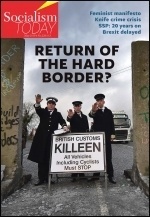 This version of this article was first posted on the Socialist Party website on 28 March 2019 and may vary slightly from the version subsequently printed in The Socialist.